Stylish designs, authentic chiyogami Japanese paper. Find out more about our materials here. 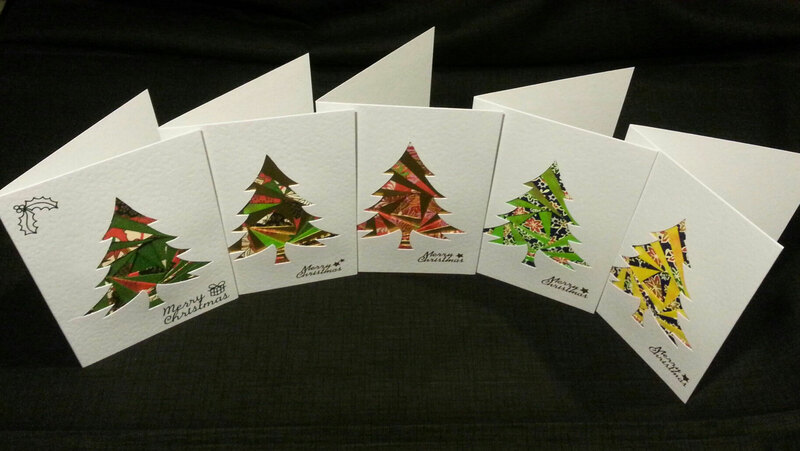 A set of 5 rectangular cards featuring a Christmas tree motif using layered Chiyogami paper. Blank inside, envelopes provided. 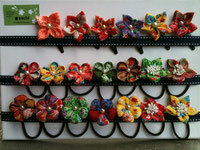 *A selection of designs will be included in your set of 5. Designs/colours may not be the same as pictured here. Contact us if you have any specific requests. 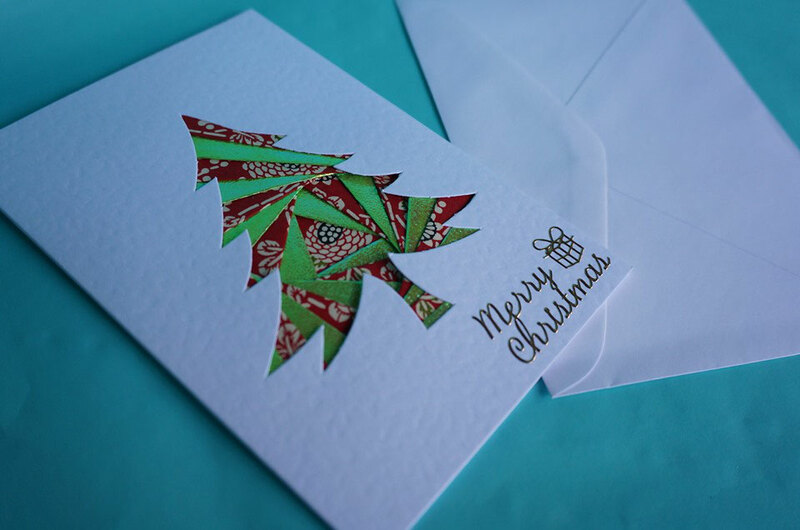 A set of 5 square cards featuring a variety of origami Christmas motifs. Blank inside, envelopes provided.